1) Find a method to continue to increase green space. 2) Find an equitable approach to spread parks throughout the city and increase green space in neighborhoods that are under-served. 3) Provide more Park Rangers and allow for coordination of police and Park Rangers. The term “green space” can mean different things to different people. We have decided to define “green space” as a community park which could consist of open space, a bike path, a dog park, a community garden, a community square, a golf course or any combination thereof. Our focus has been on creating smaller scale community parks with minimal “programed space” and preserving existing endangered recreation areas that are not “parks” per se such as golf courses, but could add substantially to the open space of the City if kept from development. The need for green, open space in an urban environment is unquestioned. Not only does it provide areas for recreation and/or relaxation but can also create a sense of place and provide a gathering place for the neighborhood. In addition parks increase property values in the surrounding area which translates into increased tax revenues for the City. We would hope that the City would view acquiring more park land as an investment in our future that will pay dividends both in the well being of its citizens and the positive impact on the City’s budget. Before increasing the amount of “green space” we first must preserve what we already have. To that end the committee urges the City to adopt a “no net loss” principle. If park land is taken away for another use it must be replaced elsewhere in the vicinity by the addition of at least an equal parcel. Opportunities exist throughout the City to reuse vacant land to create more green open space for the communities where these parcels are now often the source of blight, crime and illegal uses. Many of these lots are city-owned or could be purchased from private owners. For some good advice on how to get a park in your neighborhood please refer to Appendix “A”. Where possible, the concept of a community or “Town Square” should be explored. Using the example of Savannah, GA these town squares could create a powerful sense of place and community pride. The town squares could be used for public celebrations, meetings or gatherings as well as for recreation, relaxation and the dissemination of information through the use of message boards. Mindful of the need to conserve natural resources and scarce revenues we recommend the use of design concepts that utilize xeroscape principles, i.e. low maintenance, drought resistant plant and shrub species, pathways and a minimum of grassy areas. 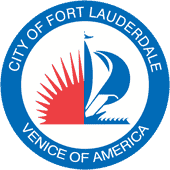 The committee has studied the Fort Lauderdale Parks and Recreation Long Range Strategic Plan. Among the Plan’s recommendations we particularly endorse the standard of a minimum of one (1) acre of green space/parks per neighborhood association. It may be difficult in some neighborhoods to assemble a single parcel totaling one acre so contiguity would not be required. Priority should be given to those areas of the city that are currently under-served. Additional operating funds could be derived from vendor rentals of equipment such as bicycles, roller blades, lounge chairs etc. Our larger parks such as Holiday Park may be good candidates for the creation of a Foundation or Trust, such as New York’s Central Park, which would provide an endowment to supplement city funding. If revenues can be found from sources such as these and others more general funds would be freed up to provide funding for the smaller neighborhood parks and town squares. The committee had the benefit of input from Earnest Jones, Park Ranger Supervisor. Currently there are for all City parks, in total, only 2-4 rangers working from 6:30am to 3:00pm and 4-6 rangers from 3:00pm to11:30pm. Their duties include public relations, monitoring and reporting on hazardous conditions, assisting in crowd control and rules enforcement, etc. The idea is to do more with less. Mr. Jones recommended the creation of 1) a Jr. Park Ranger Program and 2) the institution of a Park Watch Program in partnership with local neighborhood associations. The Jr. Ranger program would focus on exposing High School students, grades 11 and 12, to the profession of park safety and security. Students would earn community service points for participating in the program. Community points could be credited to the Associations who become involved in the Parks Watch Program. Both programs could be funded with corporate sponsorships. A breakdown of some of the costs involved can be found in Appendix “B”.
! Focus should be on preserving existing parks and green space and creating community parks in areas that are currently under-served.
! City should adopt a “no net loss” principle.
! City should consider parks and green open spaces an investment paying dividends in economic terms through increased property values and a better quality of life for its citizens.
! Town Squares should be created where possible.
! To save revenue and natural resources, Xeroscape principles should be adopted for new parks/green spaces and phased in in existing parks where possible.
! The City should adopt the standard of at least one (1) acre of park/green space per neighborhood association.
! A bond issue should be floated to finance land acquisition and capital improvements.
! For larger Parks the City should explore the establishment of a Trust or Foundation.
! A Junior Park Ranger Program should be established with funding to come from corporate or private sponsorships.
! A Parks Watch Program should be established with participation from Neighborhood Associations. ROLL CALL BY 2nd VP Tom Welch with 17 present, indicating a quorum of members present. MEETING MINUTES of January 13,2009 moved by Tom Welch and accepted as submitted. TREASURERS REPORT was provided by Treasurer, Ron Centamore and it was moved by Richard Mancuso and accepted. 1. Marilyn Mamamano from the Community appearance Board and the WOW Awards made a short presentation urging civic associations to get more active in the nominating of more properties. She said it would help their volunteers find better selections as they have to drive around ask for nominations. They would feel better if they could develop a better partnership with the neighborhood associations. 1. The next general meeting for March is on the same day as the elections and a motion was made by Ron Centamore and approved that the general meeting be moved to March 9th, Monday. 2. The next candidates forum Feb 26th, 2009 in the City Commission chamber at 7PM. There are only three Districts (I, II & IV) left to decide and all will be present. 3. Nominating Committee has found at least one candidate for each position. However due to Dr Hayes health, she will not be able to fulfill that position. Anyone interested in the Recording Secretary position please contact any BOD member. The current list is attached as D.
4. The Centennial Committee has suggested commemorative pins for distribution by the Council. 1. Ad hoc Committee Richard Mancuso gave a brief description of the latest series of meetings attempts, but no reported outcomes. 2. Re-cap the January 29th, 2009 Candidates Forum was a great turn out by the citizens. It was standing room only. Genia thanked all who helped and said it went like very well and finished ahead of schedule. 3. There were no committee reports as there no new meetings to report action. Next Board Meeting is February 23, 2009 at 5:30 pm on the 8th floor of City Hall.